Despite the recent charge toward using OTAs, a recent study showed that offline agents save customers USD 452 per trip. Along with cost saving, travellers spend less time researching – a process that often takes days and a dozen visited websites. 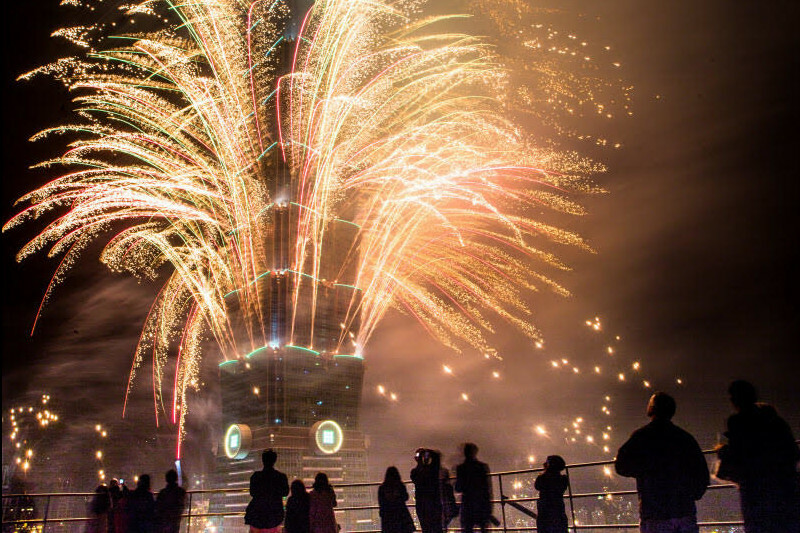 Travel agents also still dominate cruise and tour sales. Research Travel Agents vs. Online Booking showed that about 65% of American respondents prefer booking international trips with an agent, even if they think online booking is cheaper. Many traveflers feel more secure planning with an expert than using self-service websites. Still, the convenience of using OTAs often tends to overpower travel agencies’ appeal. 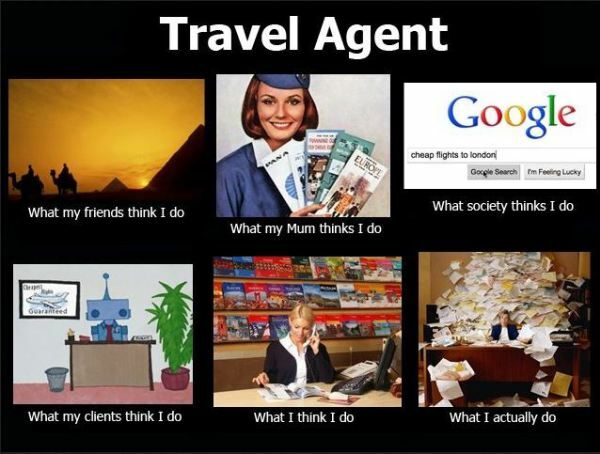 Undeniably, there’s still a market for good, old travel agents. But it doesn’t mean that current agencies should do business the same way they did decades ago. Digital transformation is shifting the focus and allowing companies to combine the benefits of travel agents with the convenience of self-service platforms. In this article, we’ll talk about how traditional travel agencies can use technology to improve operations, automate, and customise their processes today. To see where exactly a travel agency is positioned in the travel distribution flow, check out these two infographics for airline management and hotel distribution. Basically, a travel agency is one of the contact points for (usually leisure) travellers that helps them choose and organise a trip. This includes hotel and flight bookings, transfers, activities, excursions, etc. Today we’ll tackle physical stores where people come to speak to a human agent and entrust them with all the planning. 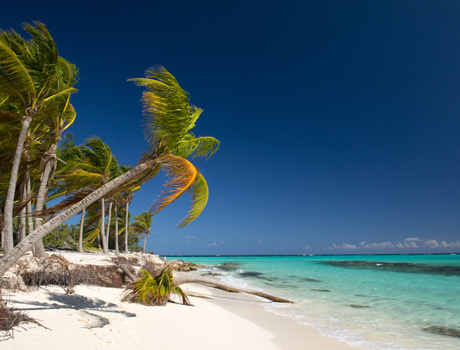 We also focus on leisure travel since managing corporate travel operations takes other forms, such as hiring a travel management company, handling travel and expense management, or using self-service solutions. So, travel agencies are usually in need of a few types of software, each for a specific function. Traditionally, a travel agency would be engaged in various activities besides booking hotels and flights. Day-to-day operations of a typical travel agent usually include scheduling, tour programme creation, consultation services, activities booking, vendor negotiation, creating personalised tours, and finding the best fare for a client’s budget. 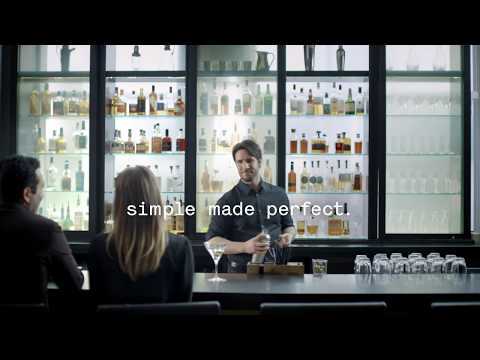 Of course, all of this doesn’t have to be done by hand or in Excel spreadsheets. There are already specialised online solutions on the market. We grouped these solutions into four travel agency software types and reviewed a few players to get agents more familiar with the alternatives. Today most travellers have no problem booking their hotels themselves. It’s so easy and convenient! There are price aggregators that give you the best price on the market in seconds, even tools that predict prices using historical data. There are even chatbots that do that for you. So for many people, human agents lose their appeal because they often use the same websites a client can comfortably use. This isn’t ideal. Here we’ll review a few players on the market to give you a better idea of what’s available. Bookinglayer provides software for traditional and online travel agencies. It has a user-friendly platform that gives you access to accommodations, activities, rentals, and packages, and automatically shows prices in different currencies, applies discounts to your loyal customers, and syncs data with Booking.com or Airbnb. Client management also becomes automated and you have a built-in CRM, a customer portal enabling travellers to see information about their departures and arrivals, and update information. It also has an installed payment mechanism with customised surcharges. Among its numerous solutions, Lemax offers booking and sales software both for B2B and B2C models. Integrated with Travelport, Galileo, and Amadeus GDSs, it allows you to add not only flights, hotels, and rentals, but also excursions, vessels, cruises, and more. Its main advantage is customisation and universality – Lemax API can be used pretty much for any travel booking operation, from conference organisation to group tours. PHPTravels is useful for its modules. Whether you need hotel, car, flight, or tour booking, you can use each module separately and enrich your already existing solution. It’s 100% open source, meaning you can employ developers to customise the tool to your liking. They also provide the code for your mobile application and you can test out the demos on their website. Now, let’s quickly review what the market has to offer in the accounting for travel agencies. Xero is a cross-platform accounting service that offers three pricing plans for different business needs. All basic features are available in each plan. These include invoicing, mobile access via Android and iOS apps, connection to bank accounts, and secure SSL encryption. Xero is a good fit for travel agencies, hotels, and hostels. It works with more than 160 currencies and can be integrated with third-party tourism apps. TravelWorks allows you to easily control travel agent commissions, even in complex cases, such as sharing commissions between different agents. Usually, all US agencies have to be accredited by Airlines Reporting Corporation (ARC) or Billing Settlement Plans (BSP) for agencies outside of the US. TravelWorks supports BSP-ARC management and exception reporting that automatically identifies errors. It also simplifies group planning with templates. Targeted at companies in all sectors, OnlineInvoices also offers advanced features to travel agencies. You can send invoices to tourists and partners via email and receive payment by credit card, PayPal, Stripe, or bank transfer. You can analyse travel data to locate the most popular hotels and sights and assign each agent to accomplish specific tour services as well. So, which tools on the market can help agents design tours? TripCreator helps operators design tours for the website and custom tours for each client. Here you get a database of thousands of inventories for suggestion and inspiration, but your offline inventories are also available. They use AI to give personalised recommendations on the itinerary, optimise the time and schedule so travellers spend less time driving and more time experiencing. 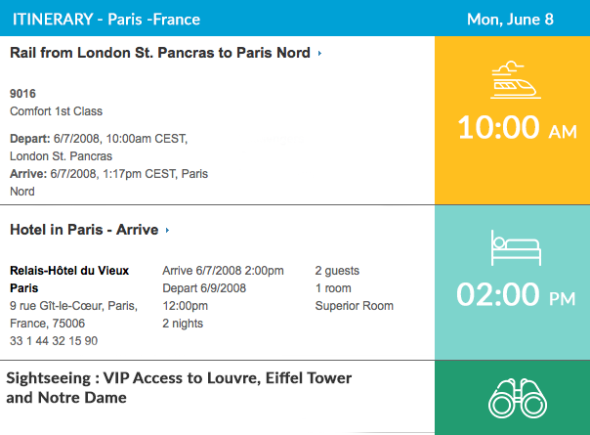 TripCreator also validates dates, opening hours, or driving distance. You can even send a tour back to your client and allow them to modify it themselves. 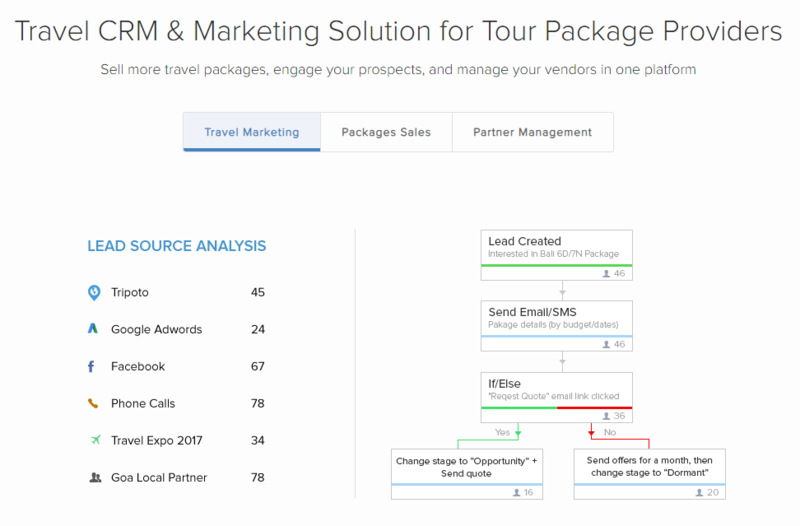 Another tool wired for tailor-made experiences, Tourwriter provides three pricing plans, targeted at either solo agents, small agencies, or enterprise-level companies. 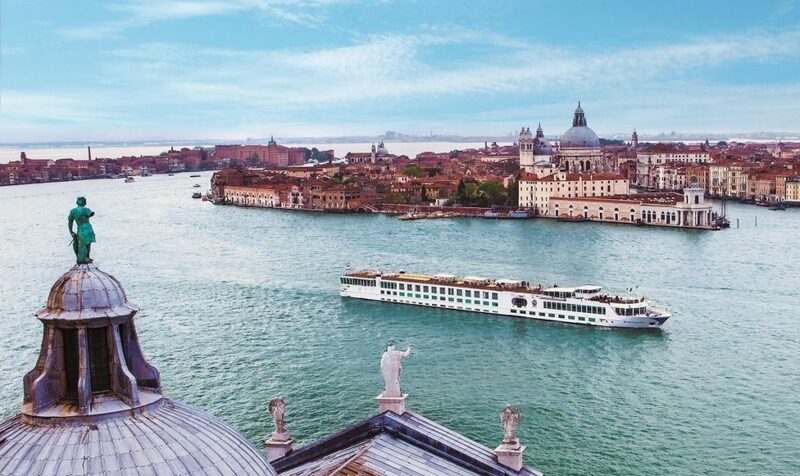 Each plan allows you to create an unlimited number of itineraries and clients, but the number of suppliers is limited in the first and second tiers. The highest tier is enabled with groups and accounting modules, and gives access to APIs. See their product presentation on the video below. Orioly is a cloud-based tool created for bike, brewery, wine, Segway, trekking, food tours, and even escape rooms. It has a simple, user-friendly activity creation tool and handy tutorials right on their website. 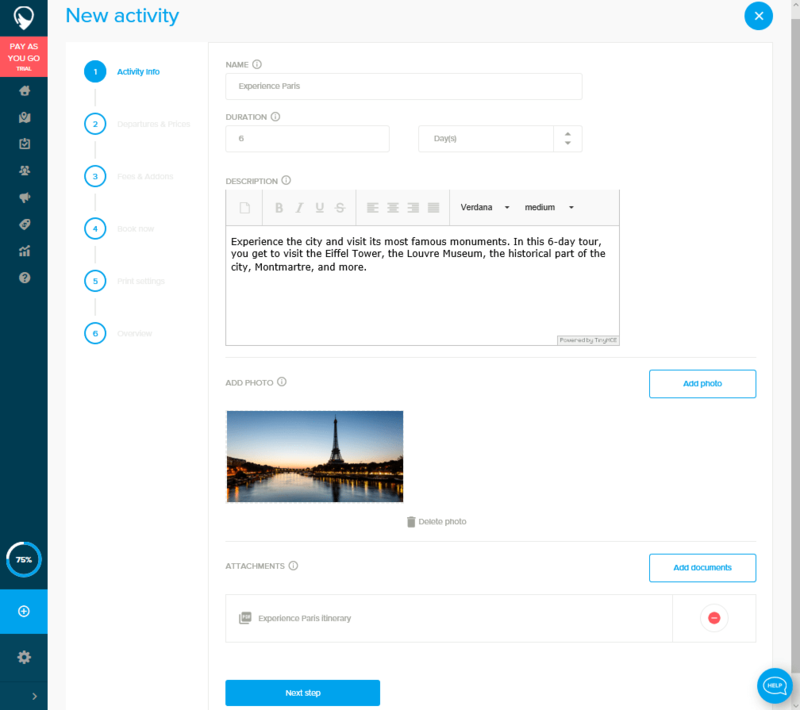 Here you can create, publish, and sell excursions in just one user experience flow. This allows small, specialised tour agencies to promote and distribute their services, process payments, and manage inventories on one platform. The software does, however, have fees for each agent and affiliate booking. A free trial, documentation, and tutorials allow you to try it before you buy it. How is travel customer relationship management different from any other? Why can’t you use one of the traditional solutions from Zoho, HubSpot, or Salesforce? Every industry has marketing properties that can’t be covered by one universal tool. 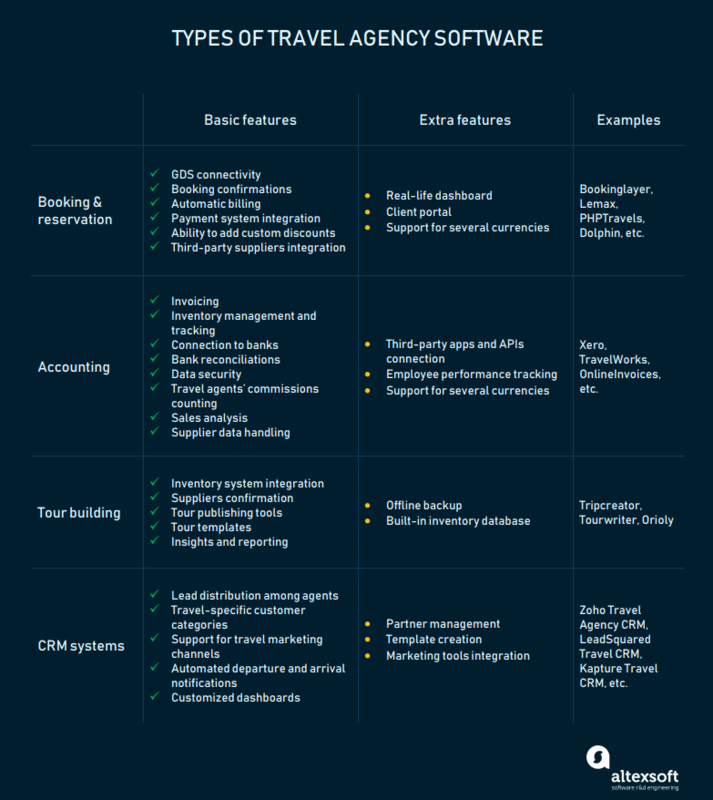 So, what to look for in a travel CRM system? Support for travel marketing channels: booking websites, TripAdvisor, etc. Let’s see how existing solutions help travel agencies solve marketing challenges. One of the biggest CRM providers, Zoho has a targeted Travel Agency CRM with features beneficial for companies selling travel services. Here you’ll find a lead capturing machine that gets all inquiries made via your website directly into a CRM with the ability to distribute them among your agents. You can also set up quota templates that get sent out to customers according to your own rules. Zoho also simplifies passenger handling, allowing you to classify them according to their role. LeadSquared provides marketing software for all businesses, but it also has a specific CRM and marketing solution for travel brands. Its travel product is divided into three functions: travel marketing, package sales, and partner management. So, besides CRM function, it automates all marketing and sales tasks and manages leads. Detailed reports, customised dashboards, lead distribution based on trip location and budgets… LeadSquared covers a lot. 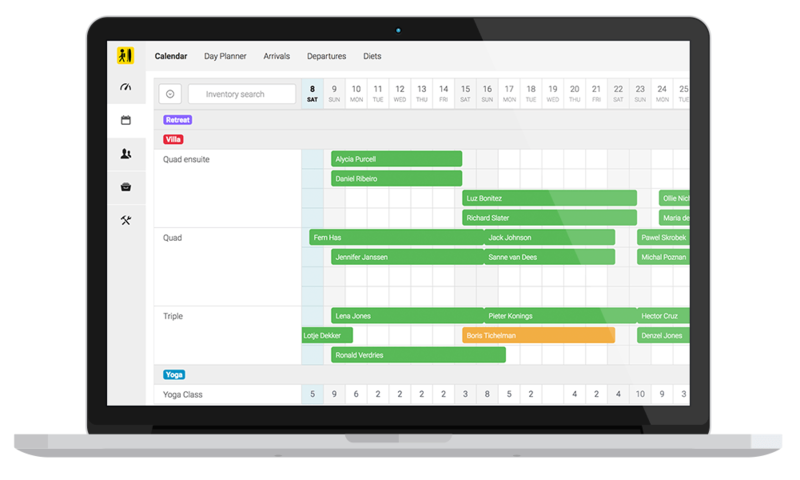 Besides basic customer profiles and interaction, Kapture creates itineraries semi-automatically and directly in a CRM. The sales funnel here is also customised for travel agencies and allows you to track clients from their interest in a vacation to the booking itself. Kapture also saves all important travel documents such as passports, tickets, and visas in one place so there’s no chance of messing up. A good travel agency software shouldn’t only perform the functions your clients can already easily access online. It should bring out the advantages of traditional agencies and strengthen their operations. It shouldn’t create new obstacles such as a complicated interface that will make your agents return to their Excel spreadsheets. This not only includes 24/7 chat or call service, but also a knowledge base, FAQs, and tutorials. TripCreator, for example, provides webinar training to all users, while Orioly creates video instructions. Thanks to trial options available in many cloud platforms, you can determine which software follows the same processes you and your agents already have. Just like a tool’s workflow should be familiar to your agents, its user experience must use the same familiar language they do. Make sure that both agents and clients get notified about main touchpoints of their journeys. While not required, it’s also useful to have a disruption management tool to help travellers already on their trip navigate during flight delays. 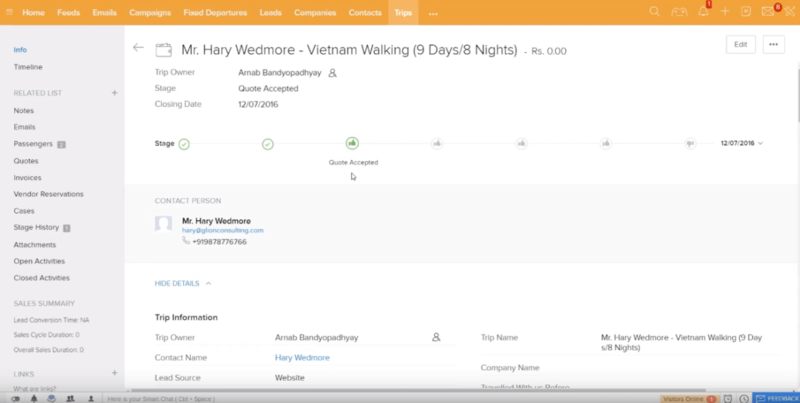 Most CRMs create lead and client profiles automatically when you receive a quote request online, with data provided by travellers: names, desired destination and dates, and the number of people in the group. Travel agents handle a lot of sensitive and personal client information, so data protection is not optional for travel agency tools. You probably also want to protect information about each agent’s sales from other agents. What’s the point in gathering and managing all this data if you can’t draw insights from it? Reporting functions will show you which destinations, dates, seasons, and agents bring you the most value. Earlier this year, Forrester reported that technological changes and digital transformation are having the greatest effect on businesses, even more than the political, economic, or competitive climate does. This means that almost every aspect of an organisation’s growth is driven by technology. Software helps us run businesses more effectively, make smarter decisions, access our clients more freely. Here, adopting enhancing technology is not simply a suggestion, but a vital action that will help you stay afloat. Traditional travel agencies are still in demand for certain customers and in some markets, but it won’t be long before OTAs expand their influence and all travellers will be able to easily plan their vacations anywhere. Making your travel agency innovative, empowering it with automation software that allows your agents to spend less time on paperwork and scheduling, will keep your business thriving for years to come.